Who is Satan and the Apocalyptic Beast? The Beast is the incarnation of Satan. ‘The Beast’ is the incarnation of God. ‘If you were Abraham’s children, you would do as Abraham did. As it is, you want to kill me when I tell you the Truth as I have learnt it from God. That is Not what Abraham did. What you are doing is what your father does. Do you know why you cannot hear My Word? there is no Truth in him. When he lies, he is drawing on his own nature. Have you been worshiping Satan as God? According to Jesus and Saint John, YES! Do you Know the Word of God? that God’s Word is a book? I’ll let you answer that question in the Spirit of Truth. Is he the greatest fraud of history? Are you now going to accuse Jesus and Saint John of being anti-Semitic and join the Antichristic crowds in ignorance? 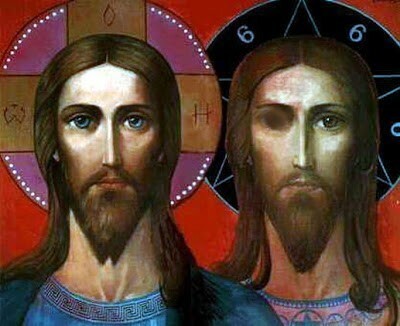 The Antichrist by the Catholic Religions. Al Mash Dejjal (False Messiah, the Deceiver) by the Islamic Religions. The World Messiah by the Pharisaic Jews. The most vital point to notice here is that there is a marked difference between the Catholic and the Islamic Religions’ view of the Apocalyptic Beast and that of the Pharisaic Jews. This difference is according to Catholic, Islamic and Jewish Eschatology, the Root Cause of the End Times Final Conflict, the reason behind the ‘Jewish/Moslem Wars’ and all the engineered world turmoil already happening everywhere in the world and which eventually will destroy all ‘that appears to be and is not’ – meaning the material world in which we have existed, and everyone who consciously and willingly is part of it. The word Antichrist defines its own meaning. Antichrist means Against the Christ. Anti means Against, Opposed to, the Adversary. Christ means The Power of Love. The Word. The Power Creator of all Life. The name Ad Masih ad-Dajjal defines the character of this entity. Dajjal is an evil figure in Islamic eschatology. He is to appear, pretending to be al-Masih. (The Messiah), before Yawm al-Qiyamah (the Day of Resurrection). 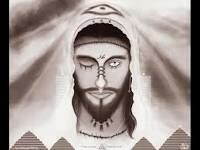 Dajjal must be a Jew. He must have the correct pedigree, meaning he must be descendant from the blood line of David. These 2 conditions must be met. Are there any descriptions of the Antichrist? 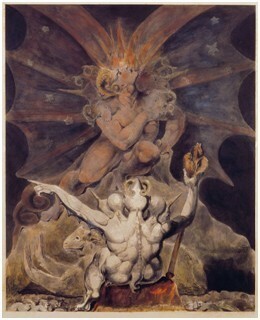 He has been described as the Son of Perdition and Destruction, who will raise himself above God and destroy as much as he can of His creation, as being a Master of deceit, a wolf under a sheep’s coat, a young man, probably in his 30’s, a world leader indeed, tyrannical and clever, physically strong, most likely Middle Eastern looking, but not necessarily, smart, sophisticated, probably ‘a technological genius’, with a magnetic personality. Many, especially the young generations 30 and under will admire his achievements and follow him without question. He has been described as unable to see with his right eye; this doesn’t necessarily mean his vision will be physically impaired, but rather that he is unable to feel empathy, to see with the heart. This trait will enable him to be evil without hesitation or regret. An evil and fascinating character with great personal magnetism, well represented by Anglina Jolie in the Disney film Maleficent – Evil Never Looked So Good. He must have the correct pedigree, meaning he must be a descendant from the blood line of David. These 2 conditions must be met in order for him to be accepted by the Pharasic Jews as the Messiah. Another thing is unbelievable but true. Most people will be attracted to him. He will not be someone that people reject, on the contrary, many who call themselves ‘Christians’ and are not, will easily reject Jesus and embrace and accept him as God. That is written and prophesized by Jesus Himself. A 108 years old Rabbi, Rabbi Yitzhak Kaduri Reveals the name of Jewish Messiah. Rabbi Yitzhak Kaduri told his followers in the year 2006 before he died, that he had personally met the Messiah and he left his name written on a paper to be read one year after his death. One year later 2007, they read the name he had written on the paper and to the surprise of every Jewish follower of his. The name of The Messiah was. . . Jesus! Did the Pharisaic Jews pay attention to Rabbi Kaduri’s revelation? Now, just as 2018 years ago, they rejected the information. Even though Rabbi Yitzhak Kaduri was a venerated Rabbi, the leading Jewish Orthodox Rabbis have not paid any attention to what he told them and still wait for the manifestation of the Antichrist – who is supposed to come soon – to hail him as the Messiah. Jesus also told the Rabbi that He would come soon after the death of Ariel Sharon, who died in 2014. As can easily be seen, the approach to the Antichrist of Islamic and the Catholic Religions is parallel, if not the same. It is only the Pharisaic Jewish approach that is radically different, as the one who these Jews expect with great excitement as their Messiah and according to them is the incarnation of God on earth; the other two major religions reject and see as the greatest impostor of all times as his father Jehovah was, an evil character impersonating the Christ, who will start the greatest catastrophe that has ever been on earth. Odly enough, a new type of alliance, a ‘Zionist-Judeo-Christian’ sect has surfaced coming from some Protestant factions – so called ‘Christian’ who Christians are not, and from the Novus Ordo so called Catholic Church, which Catholics are not either – have formed an alliance with the Pharisaic Jews! These, among whom the Vatican’s Apostate anti-Pope and the President of the USA are part of, are not only waiting for the Antichrist to hail him as the Messiah, but are already raising money and doing whatever they can to be part of his world, get rid of the Palestinians and who knows when. . . blow up the Dome of the Rock, maybe with a stray bomb, or an engineered act of nature like an earthquake, and build the Temple for the Antichrist!. Are you beginning to see why is there so much strife? When will The Antichrist come? As can be seen above Saint Paul tells us that the Apostasy must come first for the Antichrist to become public. 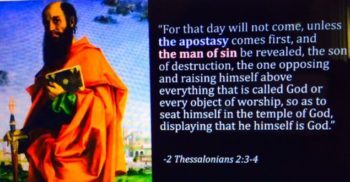 Well, Apostasy is Here and Now and rampant at the Vatican, and not in a subtle manner for the anti-Pope, who is now the head of the Roman Catholic Church, is an overt Apostate. He fits the role of the False Prophet of Revelations like a glove. He will soon be found to be a child-molestor and maybe someone who has used the Vatican funds improperly. A big scandal will ensue and he will be demoted, or he may even be killed, if he is not forced to resign. Nostredamus said that rivers of blood will run in the Vatican. We may be close to the time in which this will happen. These things are indeed heralding the public appearance of the Antichrist. Thus, we may expect him soon, I believe he will come from Britain – that is a personal conclusion of mine, based on a few facts, one of them being this is the only Monarchy that has a Jewish stone under the coronation throne and the only Monarchy that has not been destroyed by the Illuminati, who are lakeys of the Antichrist. On the contrary, it is the only Monarchy that has been promoted and exalted. And that is very suspicious. Somehow or other we can expect very soon the revelation of the Jewish Messiah, who Nostredamus says is the enemy of all humanity and Saint Paul calls the Son of Perdition and Destruction, who will raise himself above God and destroy as much as he can of His creation. Beware, though because deceit is a major characteristic of his, he may present himself as a fascinating personage. Remember that Saint John says that he will be a wolf hiding under the appearance of a lamb. Become as close as you can to the Christ in truth and in deed and every breath you take, for these are times of great deceit, changes and strong purification, which will force us humans to define ourselves. What can we do to Survive The Beast? Search to find your true Identity. That’s vital. Be loyal to Jesus and His teaching and as close to the Christ Power of Love in Truth and in Deed as you can be. If you want to Find out who the Antichrist is and what the power is that he has over you, do not listen to all those crazy mental conclusions people are making about him. WHAT POWER DOES THE ANTICHRIST HAVE OVER ALL HUMANS, INCLUDING YOU? IT IS ‘THE SELFISH GENE’ WHICH WAS IMPLANTED IN OUR DNA BY THE JEHOVIAH ANNUNAKI WHO ALTERED OUR ORIGINAL GOD-LIKE NATURE AND MADE HIMSELF PASS AS GOD. 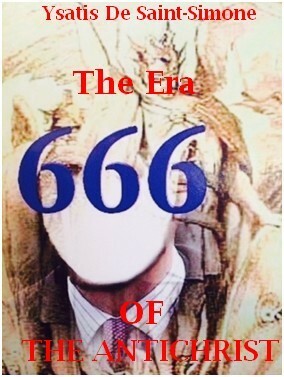 IT IS OUR TOTAL IDENTIFICATION WITH THE EGO THAT GIVES HIM POWER OVER US, FOR AS THE COMPUTATION POINTS OUT WE ARE THE THIRD 6 OF THE NUMBER 666. ACTUALLY, IF WE HAD RECUPERATED OUR TRUE NATURE AND WE WERE NOT EGO-IDENTIFIED, THE ANTICHRIST OR DEATH WOULD HAVE NO POWER OVER US. THAT’S WHAT JESUS WANTED US TO KNOW AND WHY HE CAME TO REDEEM US. 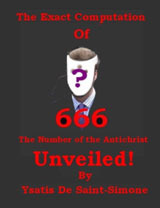 The Exact Computation of the 666 and for more information about the Antichrist as the computation let us know, is available here and now. This entry was posted in Antichrist on October 2, 2018 by Seventh Angel.